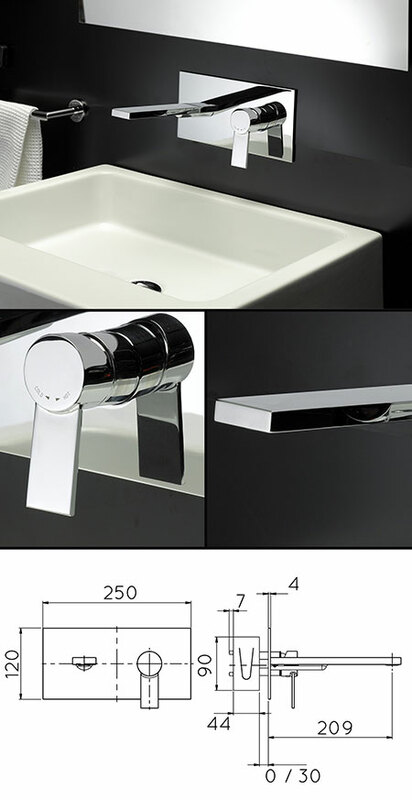 This wall mounted bathroom sink tap is designed for concealed recessed wall fixing. The Loft bathroom sink filler is designed with the latest monobloc mixing cartridge, allowing for easy mixing of the hot and cold water. Each mixer tap is supplied with an anti limescale aerators for long life operation. * Contemporary wall tap design.